The city of Maastricht is the capital of the province Limburg in the southern part of Holland. 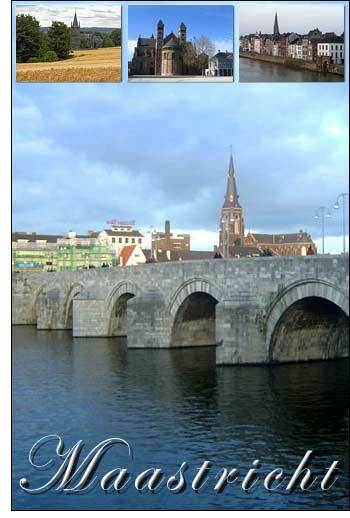 The river Maas (Meuse) runs through the city, and it's very close to Germany and Belgium. Maastricht is one of the oldest cities in the Netherlands. Maastricht was the first with Medieval city rights in the Netherlands, a system which evolved to the current system and, thanks to the Romans, the first settlement with city allure. The Maastricht treaty was signed here in 1992, the first step to one European currency, the Euro.